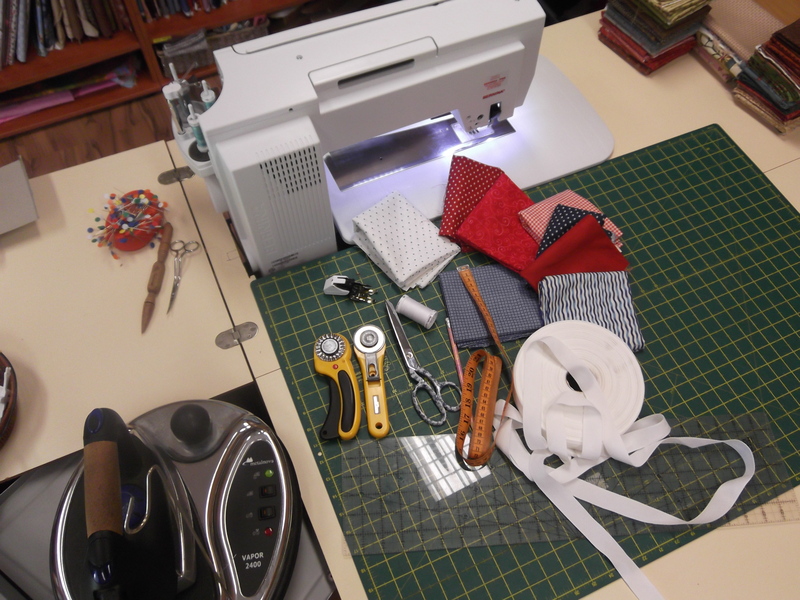 It’s very appropriate that my first tutorials should be bunting! Today I am going to share with you how I make them! Over the last 2 months I have being making meters and meters of it for baby shower and birthdays! 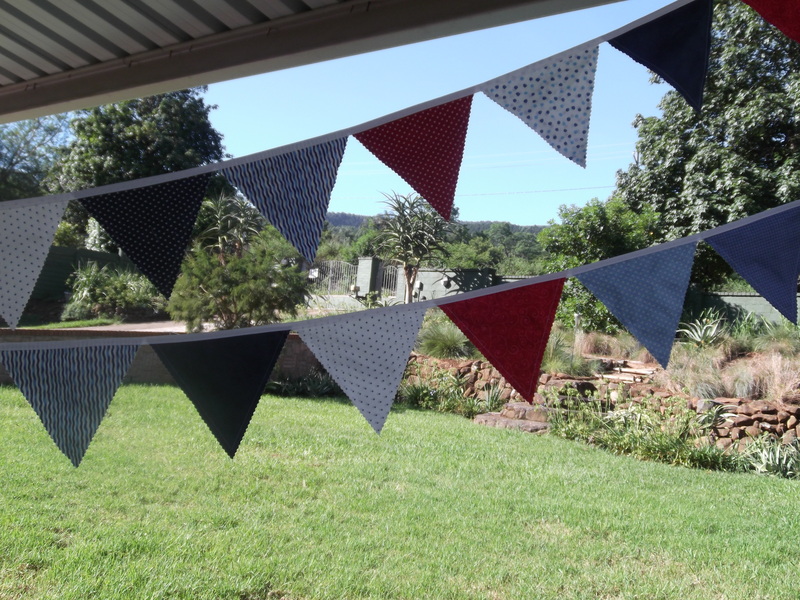 This batch is for my nephews 14 birthday, two bunting of 7.5m each! How to calculate how many flags you need for your bunting! Each flag is approximately 22cm (9”), so all you do is divide the required length of the bunting by the width of one flag e.g. if you need 7.5m of bunting: – 7.5 ÷0.22 = so you need 34 flags. This may sound funny my flags are made in inches but my measurements are in meters. We use the metric system in our schooling and I do my sewing measurements in inches, because I quilt in inches. Sewing machine, Cotton thread for your sewing machine, walking foot (optional), Iron and ironing board, cutting board, ruler, rotary cutter with straight blade and one with a pinking blade ( pinking scissors work just as well), pencil and general sewing supplies. Cut each strip of fabric into 16” wide strips. 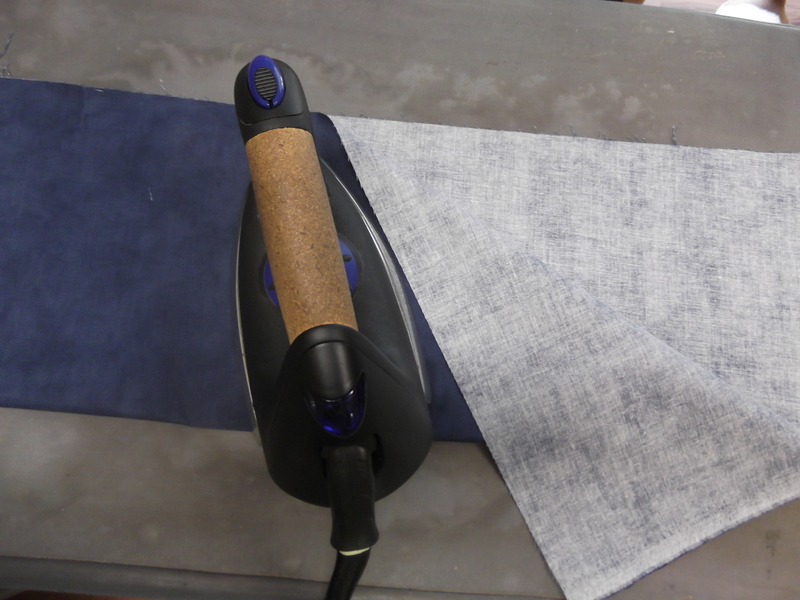 Iron all your fabrics with your iron on a cotton setting (all the fabrics I used were cotton), long side so that the wrong sides are facing. To form a long 8” x 44” tube. You will have a fold at the top and two raw edges meeting each other on the other side. 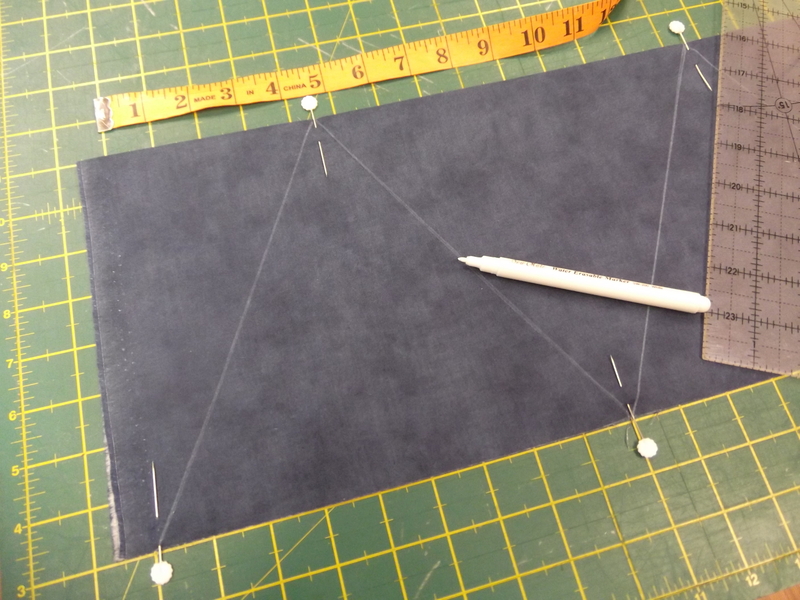 Using pins or a pencil, mark at the 9”mark on the bottom of your fabric, using your ruler. Measuring from the left side of the tub in 9” intervals across the width of the fabric. Now at the top place a mark at 4.5” for the first mark then 9” intervals across the width of fabric using a pencil or a pin. Join the markings diagonally with pencil line. Place a pin in centre of each flag that you have drawn to keep the two layers together. 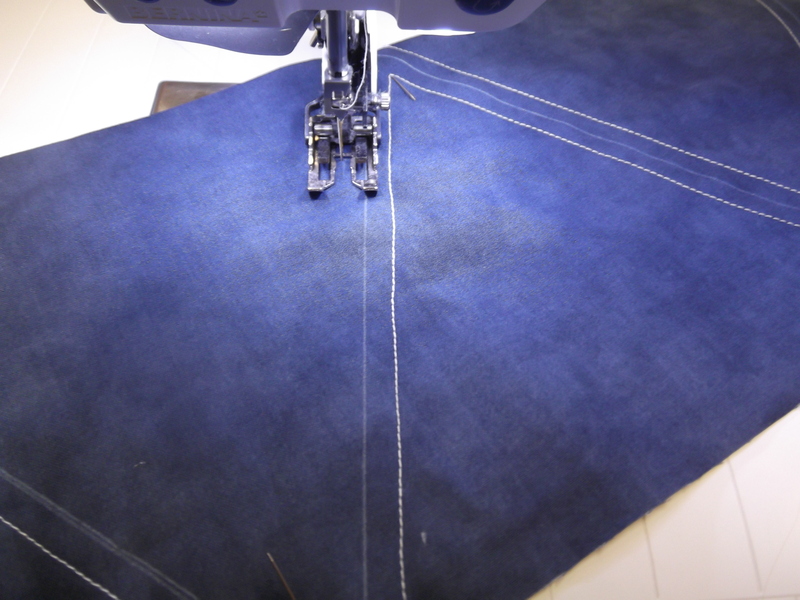 Now with your sewing machine using your walking foot (optional) sew a foot width away from the pencil line on either side. Iron. Place on cutting board using your ruler and pinking rotary cut, cut the flags apart (this can be done with pinking scissors). Now sew the flags onto the tape to make the bunting. Fold the tape in half and start sewing the two halves together, sew about 50cm of the tape together before you place your first flag inside the two halves of tape, and then just sew in each flag into the tape in whatever colour order you prefer. 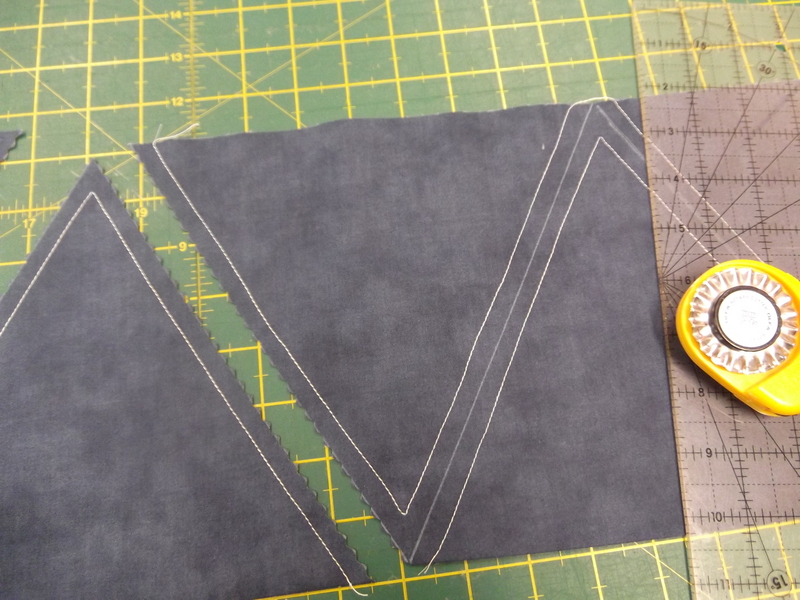 When you have sewn in your last flag sew about 50cm of your tape, this creates a tail on either side of your bunting to enable you to tie it up. This entry was posted in Craft sewing, Patterns and Tutorials and tagged Bunting, buzyday, NikkiM. Bookmark the permalink. This is a great tutorial, thanks! I plan to reference it in the future (I LOVE bunting as much as the next girl!). I’d love to know more about the iron you have pictured- what is it? how do you like it? The iron I use is a Metalnova Vapor 2400, it is an Italian brand. I love it! It is a steam iron with a big water container. You can iron dry or with steam. I love steaming my work. Thank you for your kind words and for visiting my buzy day blog. This is a really clear tutorial Nikki! I used to make bunting but no longer have the time. I found some the other day and my friend is going to use it in her wedding this weekend. Thanks for stopping by my blog! 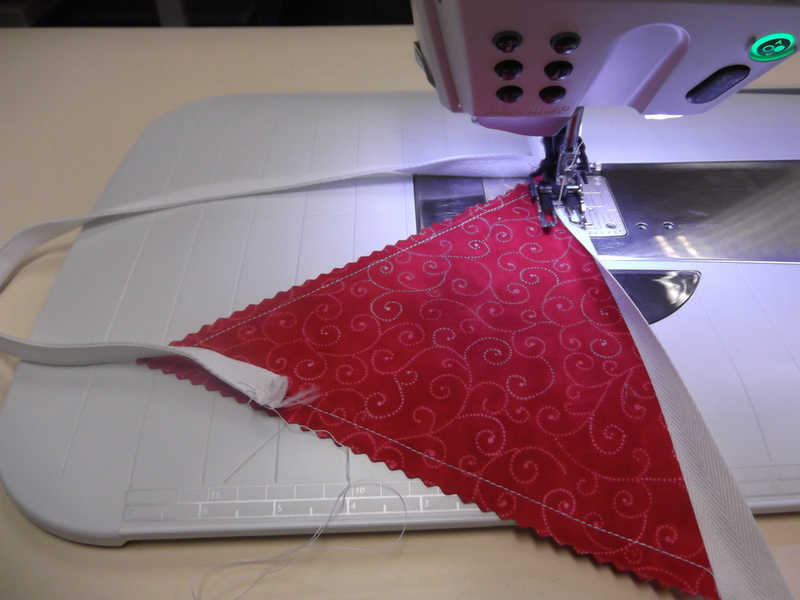 Thanks for link my Bunting blog to your post!